Dating from the 19th century, a large, restored 5-bedroom home. Its size comes from skilfully combining two medieval houses. 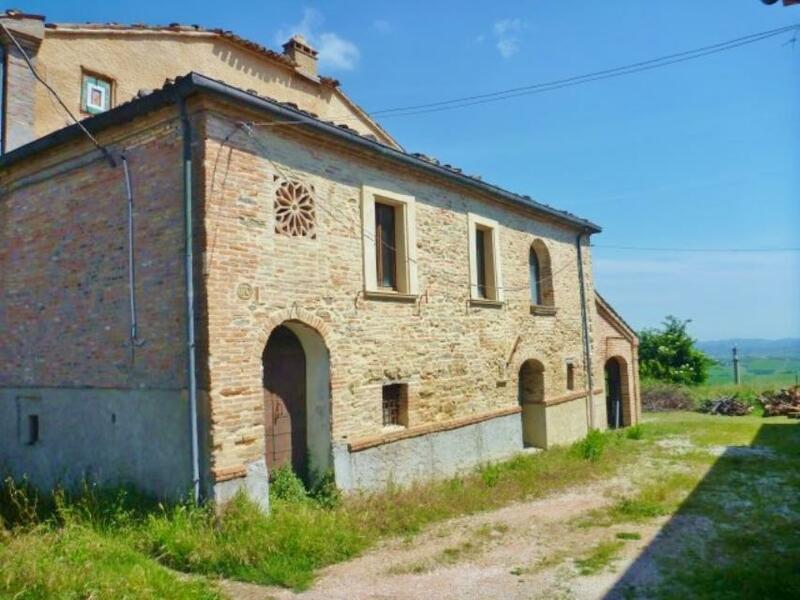 Large farmhouse to restore plus 3 annexes, set in 10,000sq m (~2½ acres) of land in Fano, Le Marche, close to Italy's Adriatic coast. 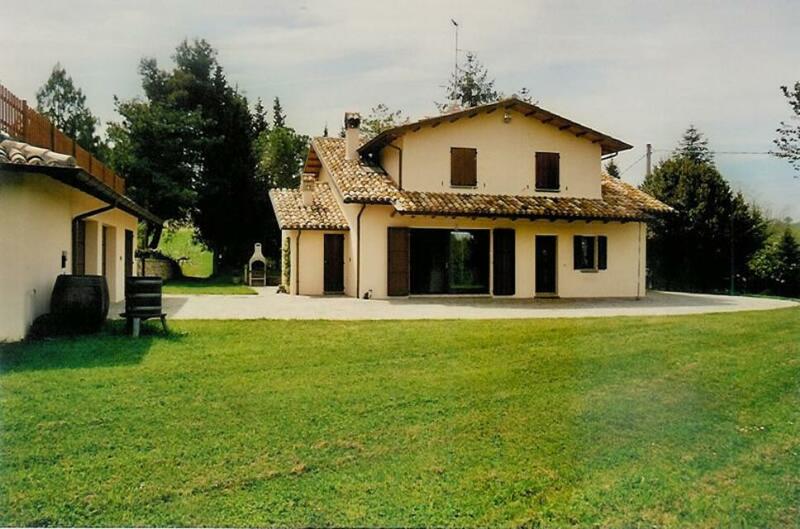 The farmhouse measures 334sq m and is set over 2 floors. Sea-view villa with swimming pool overlooking Italy's Adriatic coast. 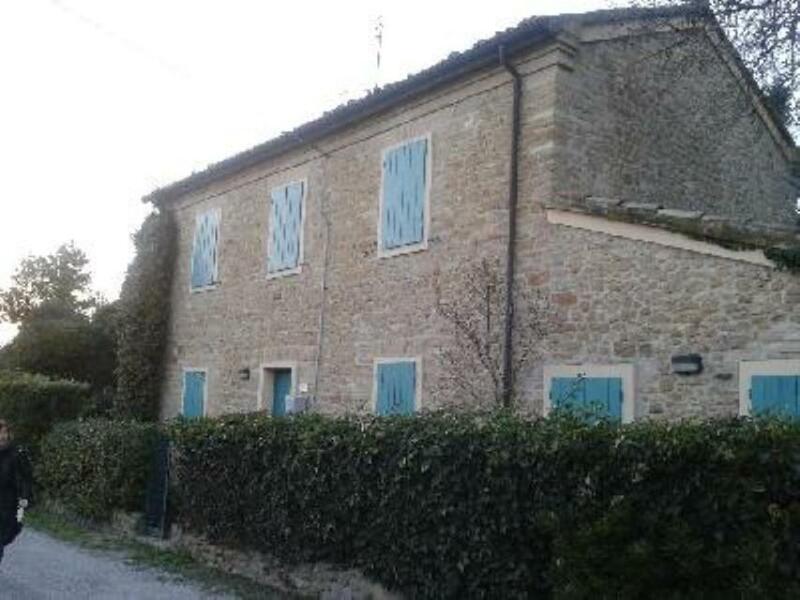 This 5-bedroom property is located in the hills of San Costanzo, Le Marche. 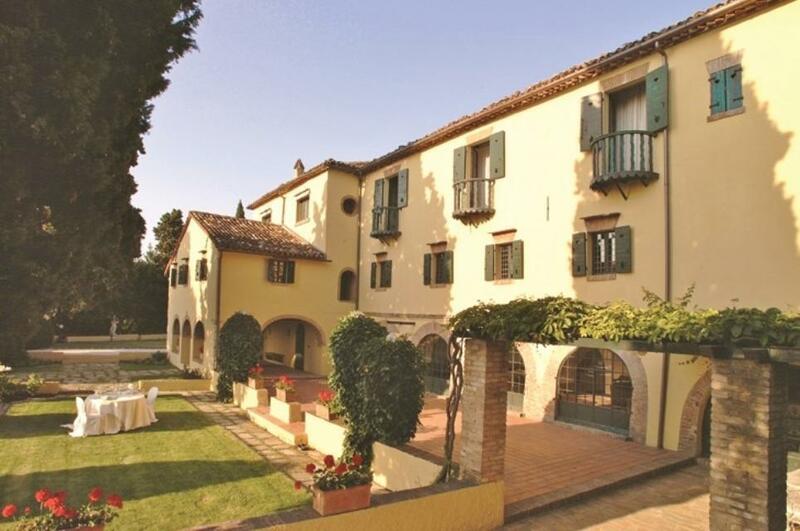 Sprawling 7-bedroom villa with swimming pool in Pesaro, close to Italy's Adriatic coast. It measures a very expansive 800sq m over 3 floors and is surrounded by a magnificent 2,500sq m garden with a swimming pool. 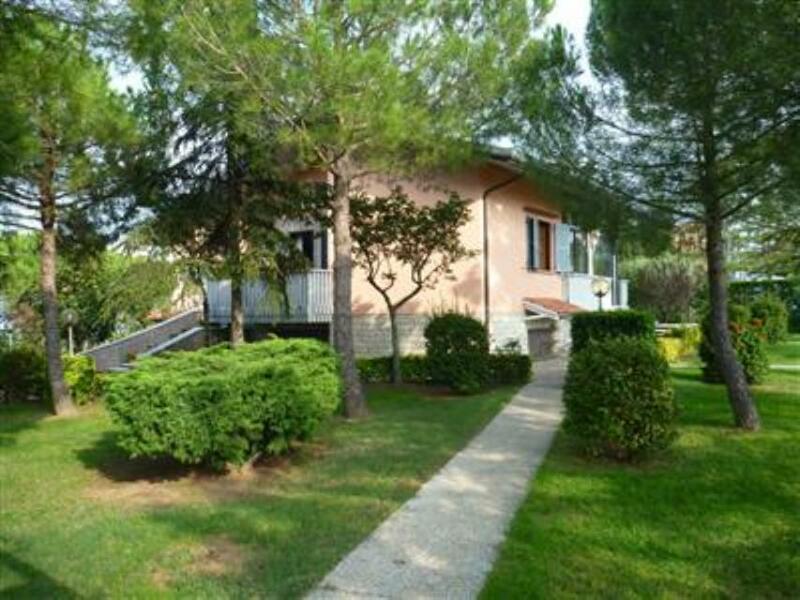 Sea-view 31-bedroom hotel for sale near the famous resort of Rimini on Italy's Adriatic coast. 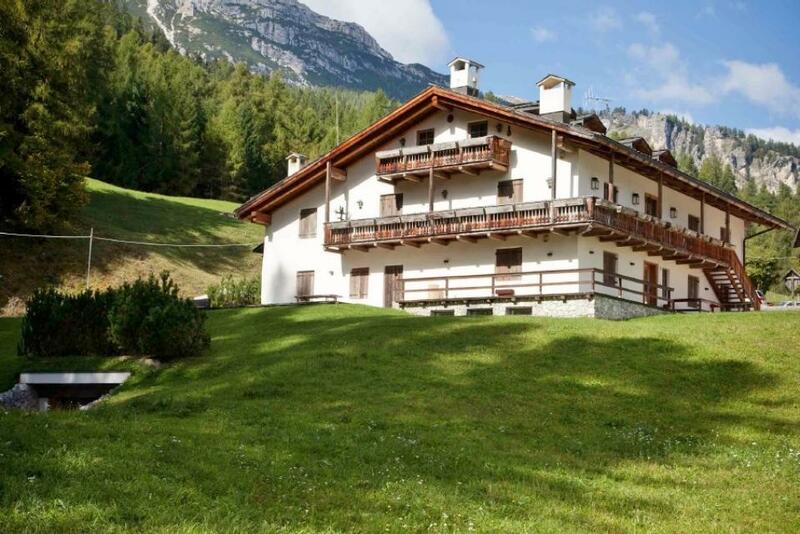 SOLD FURNISHED a superior Italian Alps 6-bedroom chalet property in the prestigious ski resort of Cortina d’Ampezzo. 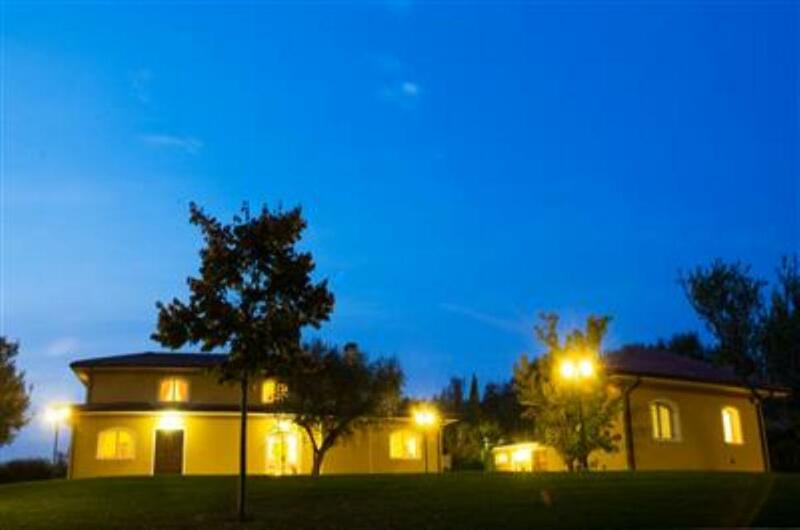 It boasts breathtaking mountain and green valley views. 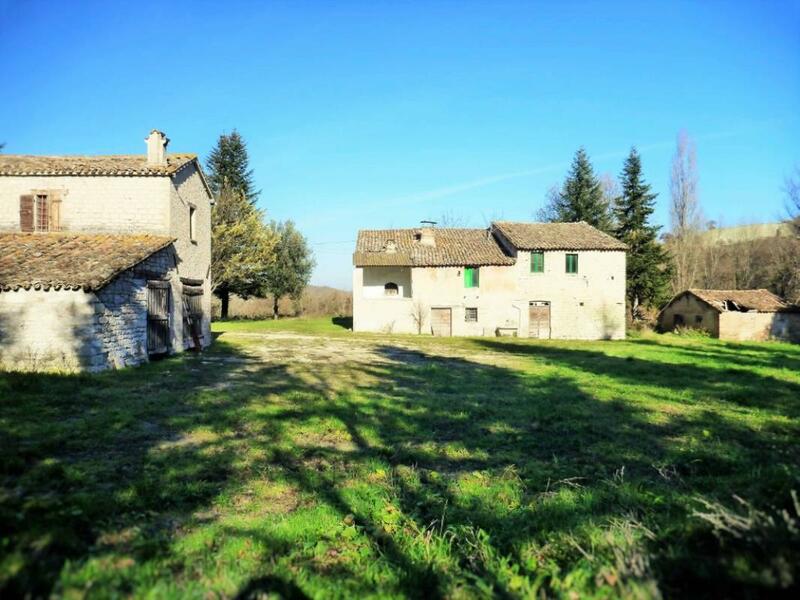 With sea views and views over the countryside, this is a 4-bedroom countryside home plus separate guesthouse annex in Montegridolfo, Le Marche. 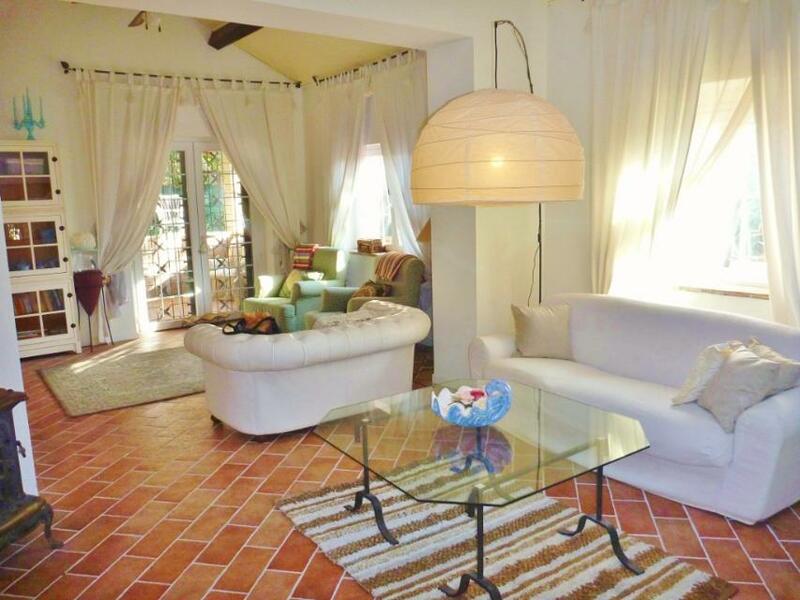 Lovely 3-bedroom villa set in a 3,000sq m fenced garden that includes an olive grove as well as fruit and pine trees. It measures a spacious 200sq m.
Countryside estate with a main villa and 3 additional buildings, set in 10,000sq m (2½ acres) of land. 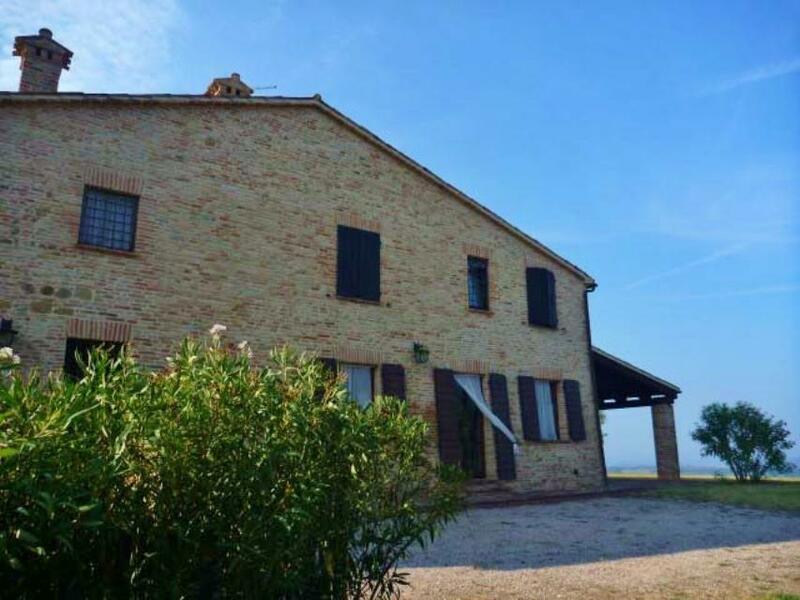 Very close to Italy’s Adriatic coast and set in 38,500sq m (~9½ acres), a 5-bedroom villa with swimming pool in Fano, Le Marche. 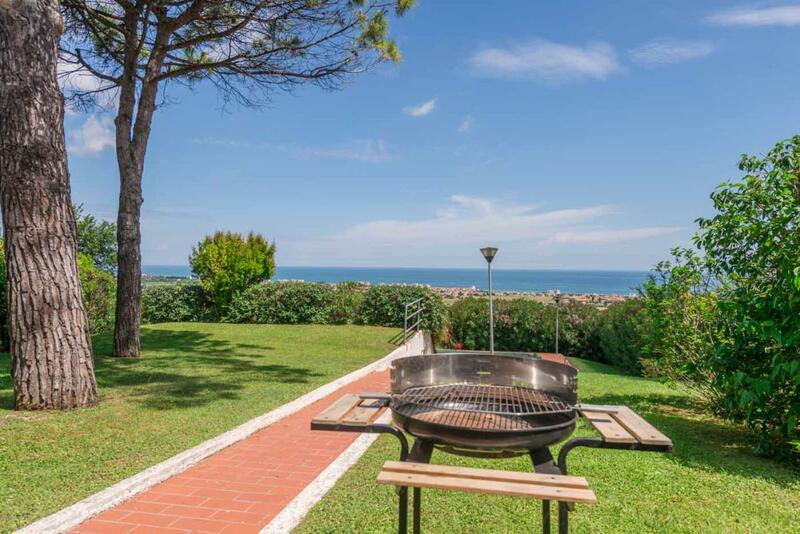 Sumptuous 5-bedroom sea-view villa with separate 70sq m 2-bedroom guest apartment in the Rimini Province on Italy’s Adriatic coast. Set in 16 hectares (~40 acres), a deluxe 6-bedroom villa with swimming pool and luxuriantly manicured gardens in Pesaro, on Italy’s Adriatic coast. 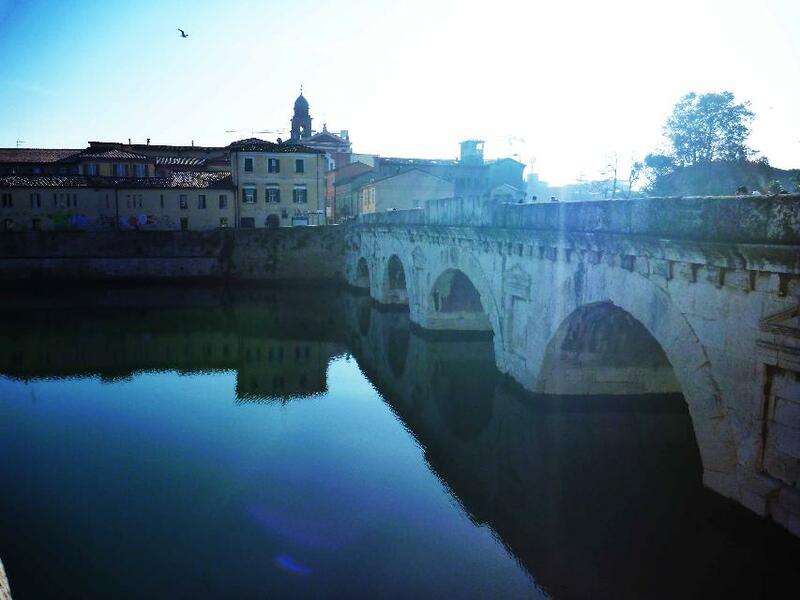 Walking distance to town centre and just 30 minutes from the airport. 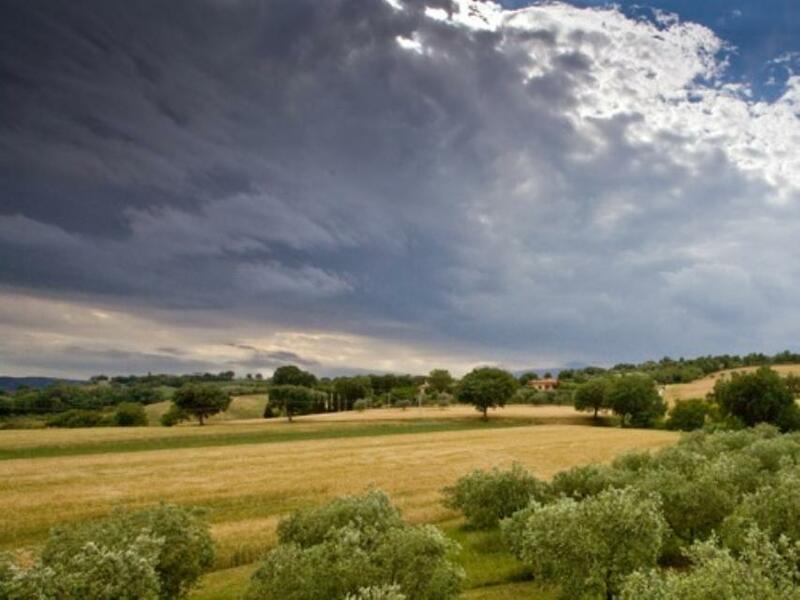 With annual production of 4,000-5,000kg of DOP-certified oil, this is a 6-hectare biological olive oil farm in Fano, on Italy’s Adriatic coast. Dating back to 1140, an imposing 6-bedroom historic property measuring a sprawling 1,700sq m.
With a sea view and dating from the 17th century, this is part of an historic stone-built hillside property close to Italy's Adriatic coast. • REDUCED BY NEARLY 30%! 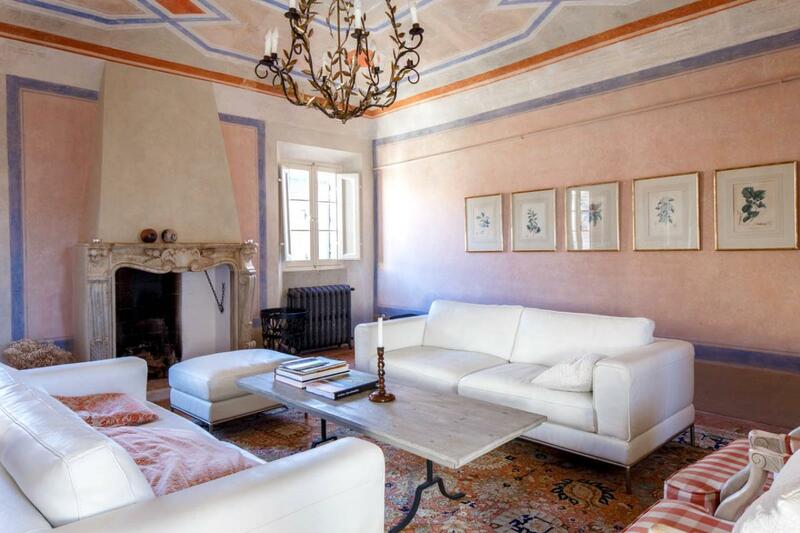 Sea-view 8-bedroom country home, set in 20,000sq m (5 acres) overlooking Italy's Adriatic coast. The property, dating from the early 1900s, measures a very spacious 480sq m over three floors (the uppermost of which is located in its tower. 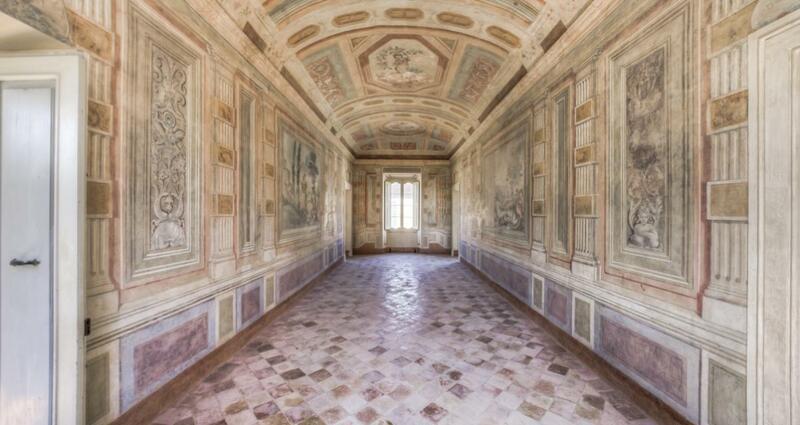 A sprawling farmhouse estate set in 30,000sq m (~7½ acres) ijn Montefelcino, Le Marche. It consists of a main farmhouse with a chapel plus a range of other buildings. Boasting a sea-view, this is a 2-home estate with swimming pool, set in 2.3 hectares (~6 acres) on Italy's Adriatic coast. A restored, historic 8-bedroom villa with swimming pool plus an adjoining 13th century consecrated church — also restored — that includes a Romanesque baptismal font. 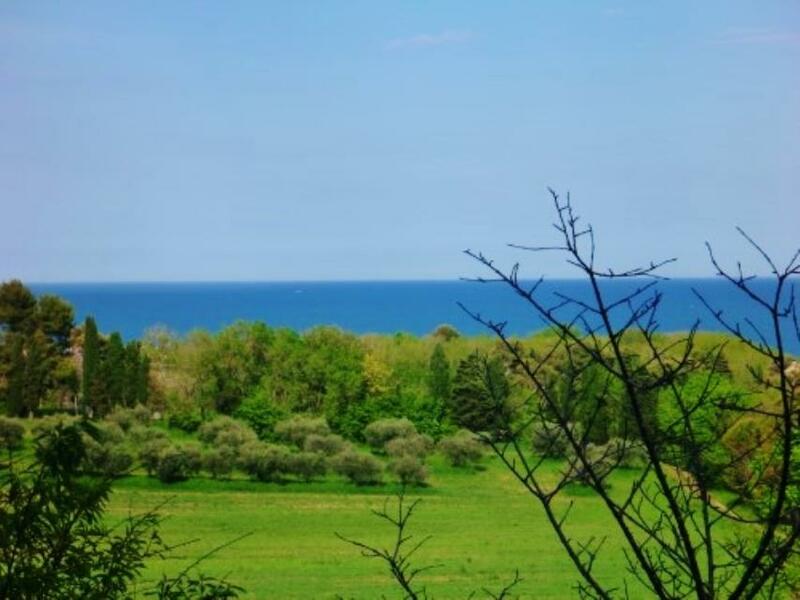 They are set in 3.5 hectares (~ 8.6 acres). 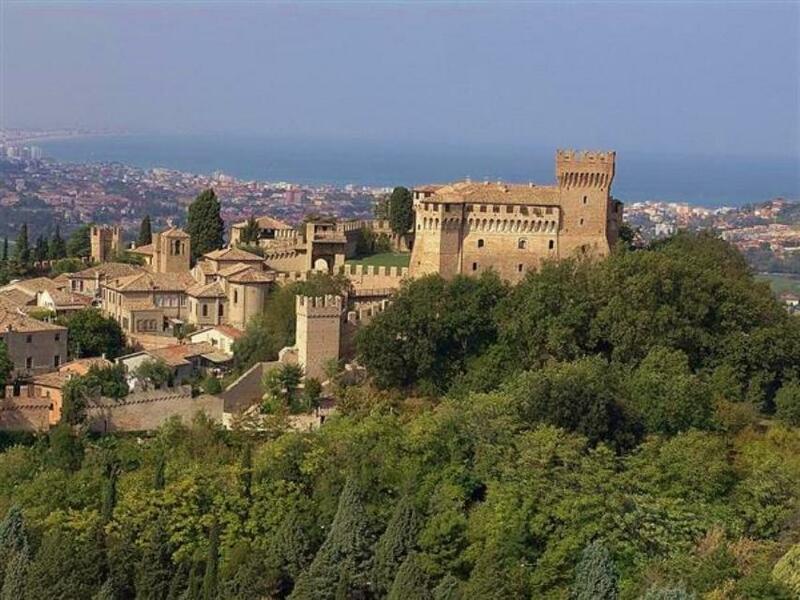 Dating from the 12th century, an ancient hilltop castle set in 11 hectares (over 27 acres) near Rimini and Italy's Adriatic coast. Sprawling 17th century countryside estate set in about 30 acres (12 hectares) of grounds near the seaside resort of Senigallia on Italy's Adriatic coast. 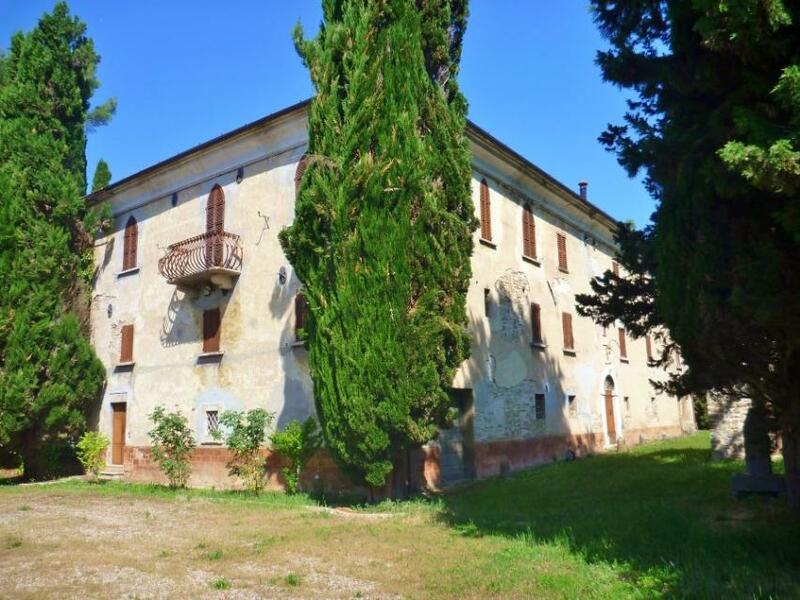 Includes a main 6-bedroom villa, a second 6-bedroom villa, a decorated consecrated chapel and 3 other buildings, including a 500sq m 2-storey farmhouse to restore. Organic farm producing olive liqueur in Marches. 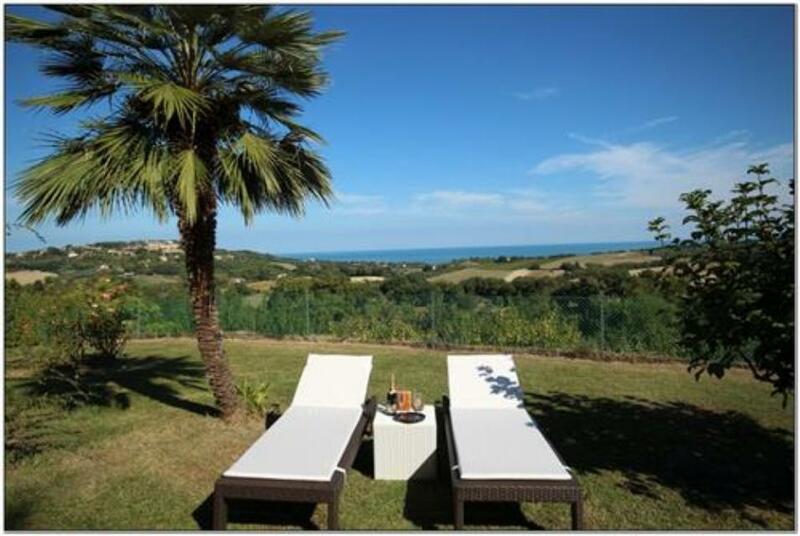 6-bedroom sea-view villa set in 7 hectares (~17.2 acres) of grounds overlooking the Adriatic coast in Pesaro, Le Marche. 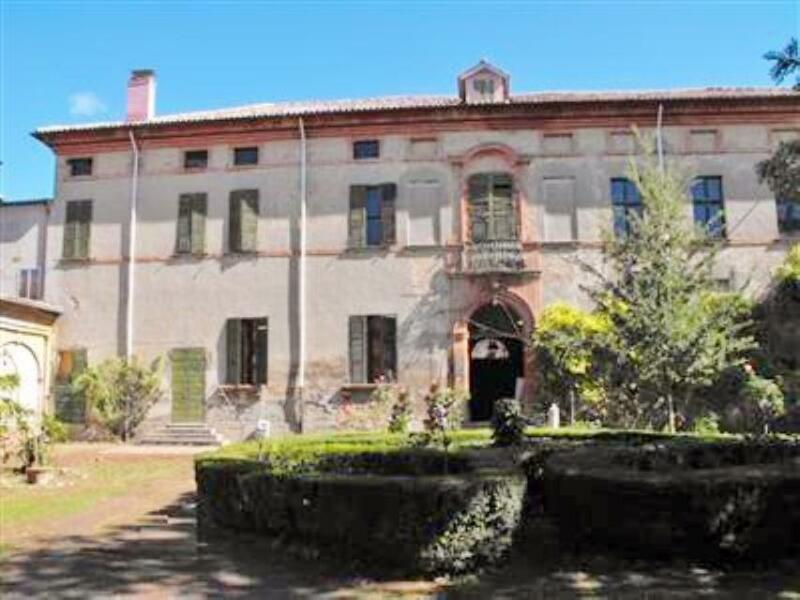 €Stately home, dating from around 1760 and with a large garden. 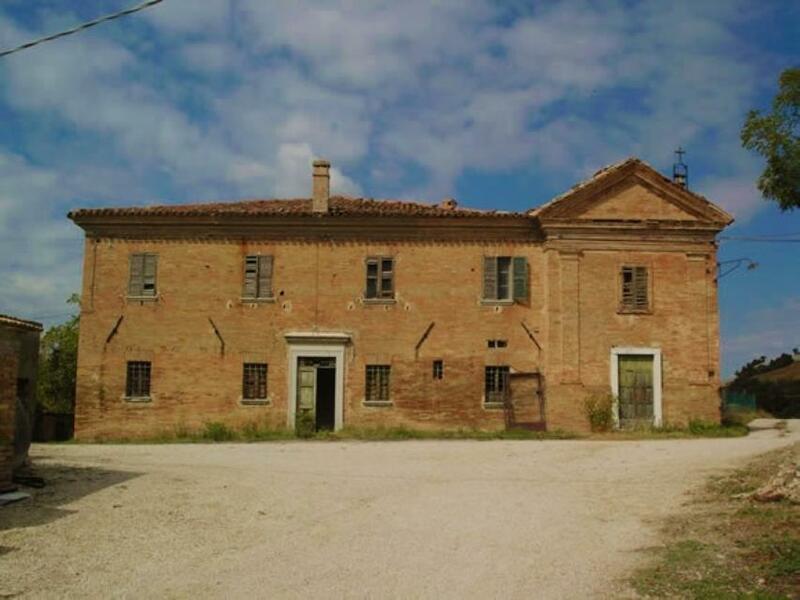 This sprawling and imposing property measures 1,250sq m and comes with around 385sq m of storage-unit space (part of which has been earmarked for conversion to residential space) plus 100sq m of staff accommodation. 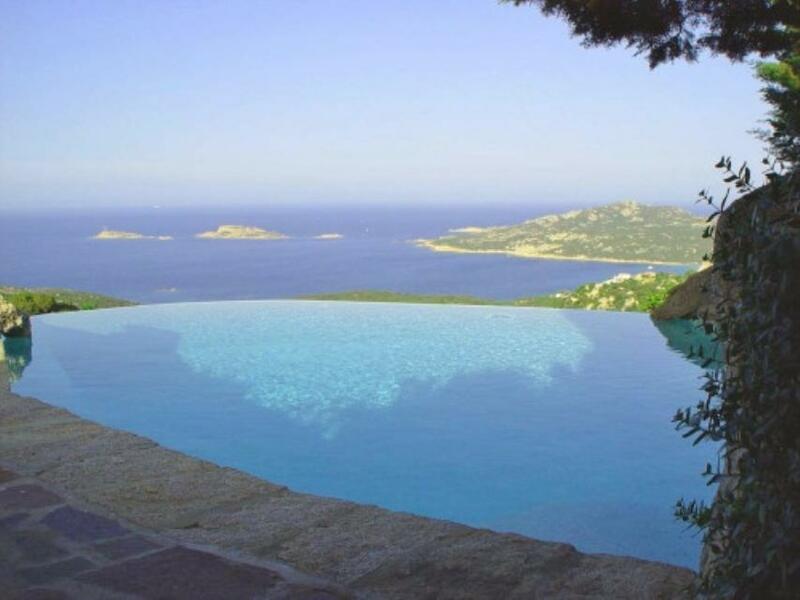 With an idyllic sea view over Sardinia's exclusive Costa Smeralda, a high-end 5-bedroom villa for sale. It is located in the luxury resort of Porto Cervo. 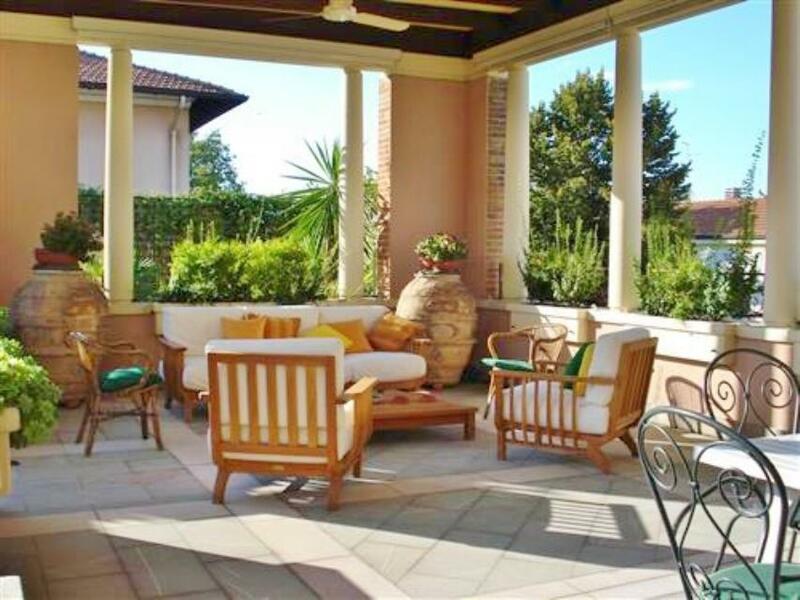 High-end 4-bedroom villa spread over four floors and located in Fano, on Italy's Adriatic coast. Boasting a sea view, a massive 1,000sq m countryside estate with swimming pool and 12,500sq m (~3 acres) of grounds. 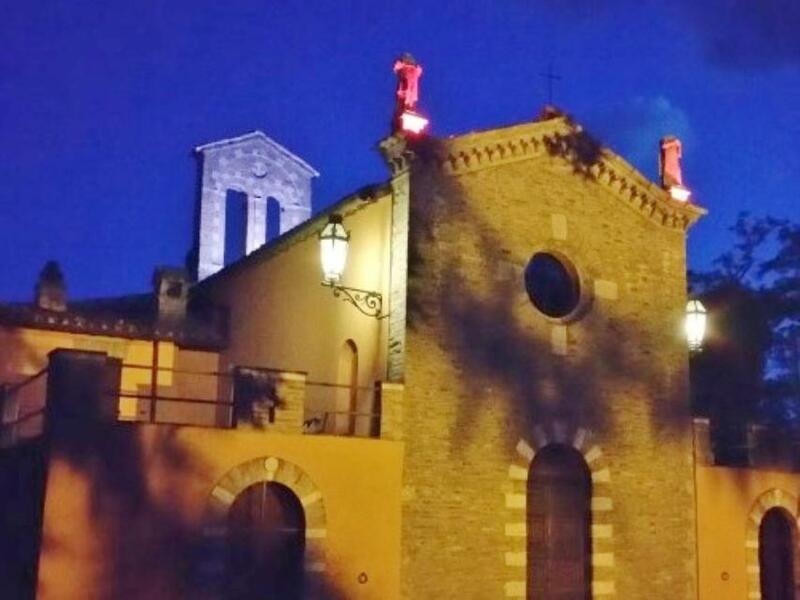 The property is a former 16th century Capuchin monastery that was extensively enlarged in the 1900s. • REDUCED BY OVER 25%! 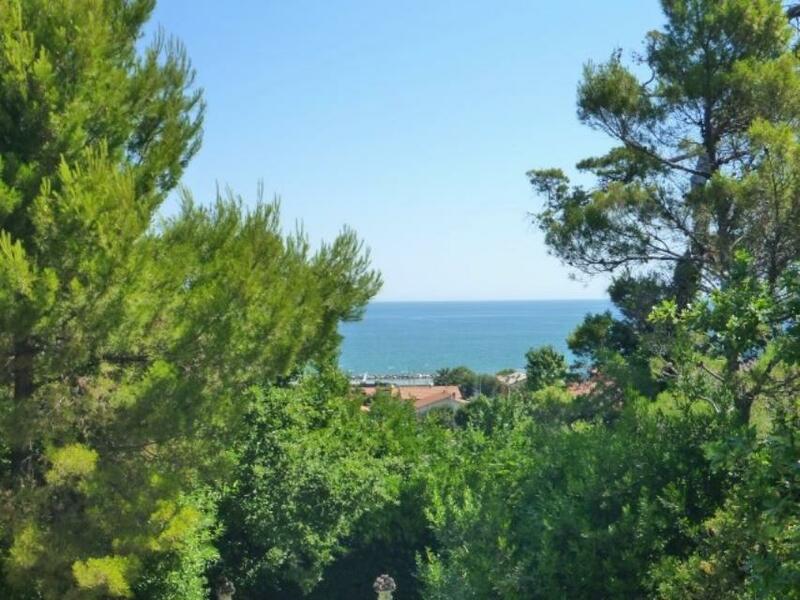 #Sea-view 4-bedroom villa set on three floors and surrounded by 4.5 hectares (~11 acres) of grounds that include a 40-tree olive grove and an orchard of about 100 fruit trees. 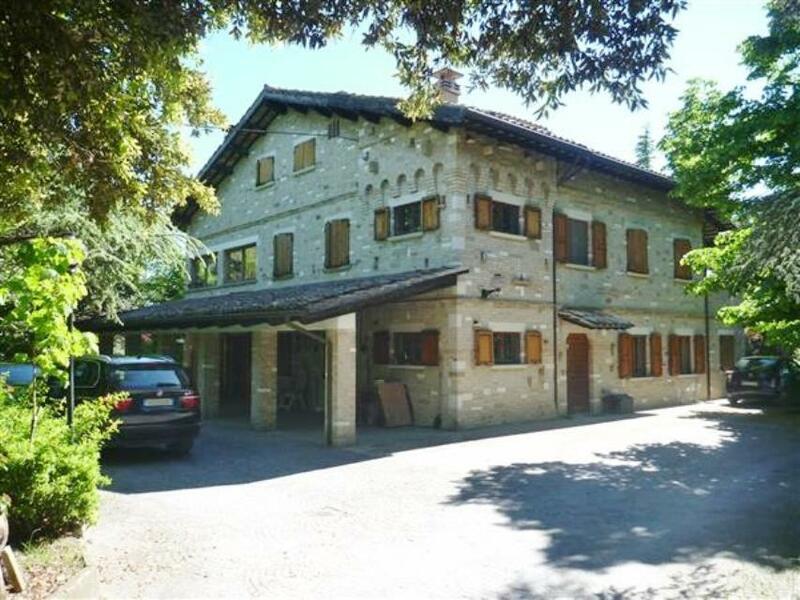 Superior, 8-bedroom restored farmhouse set over 4 floors and surrounded by 10,000sq m (2½ acres) of grounds in Urbino, Le Marche, with a scenic view over surrounding hills and countryside. There is also a separate 280sq m annex. 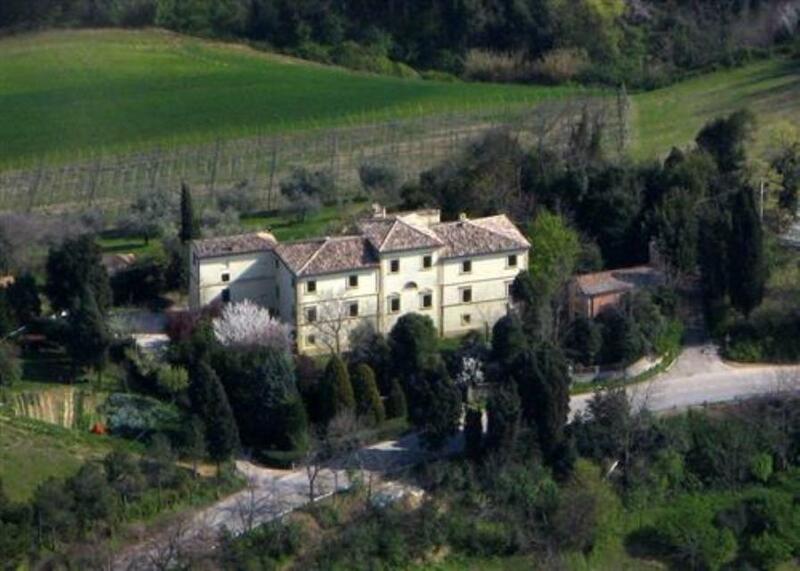 Set within Gradara Castle's walls and under 5 minutes' drive from the coast, a very large (780sq m) property in Le Marche. It also comes with a separate, restored annex. 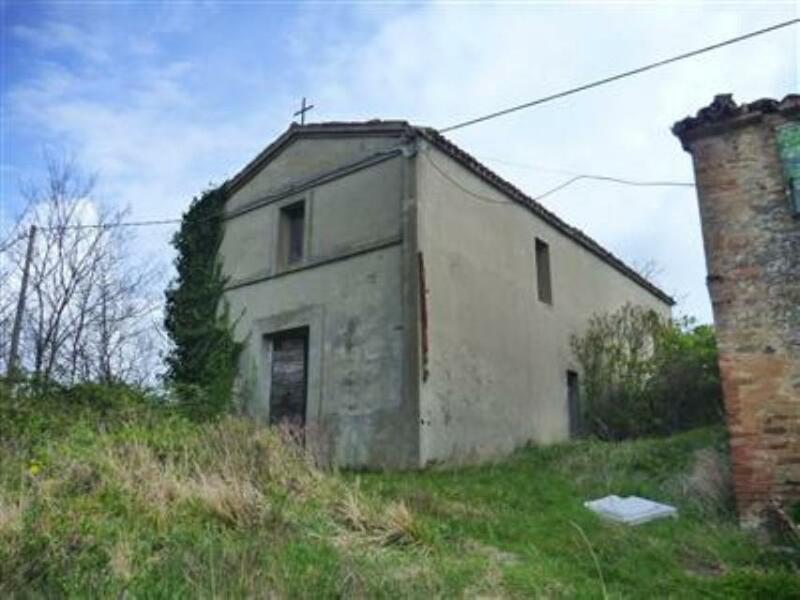 Large restored hilltop farmhouse with spacious, separate annex plus a small chapel all set in 16 hectares (39.5 acres). 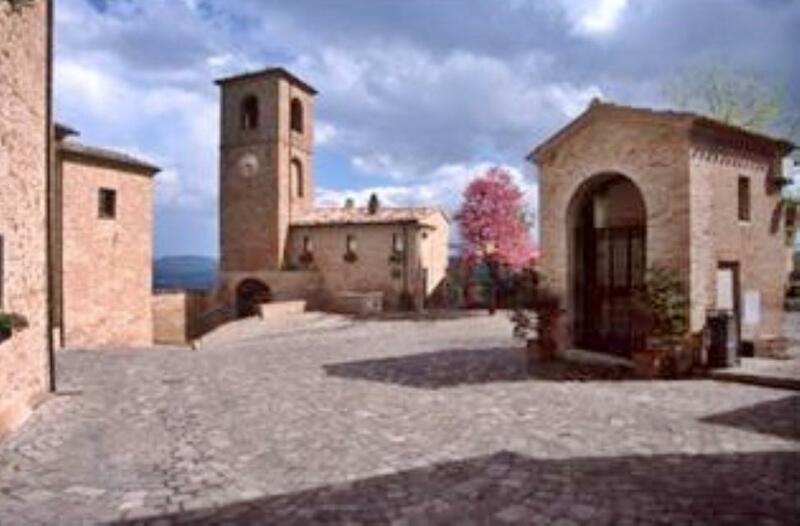 It is located in the Le Marche countryside and overlooks a castle, Castello di Gradara. 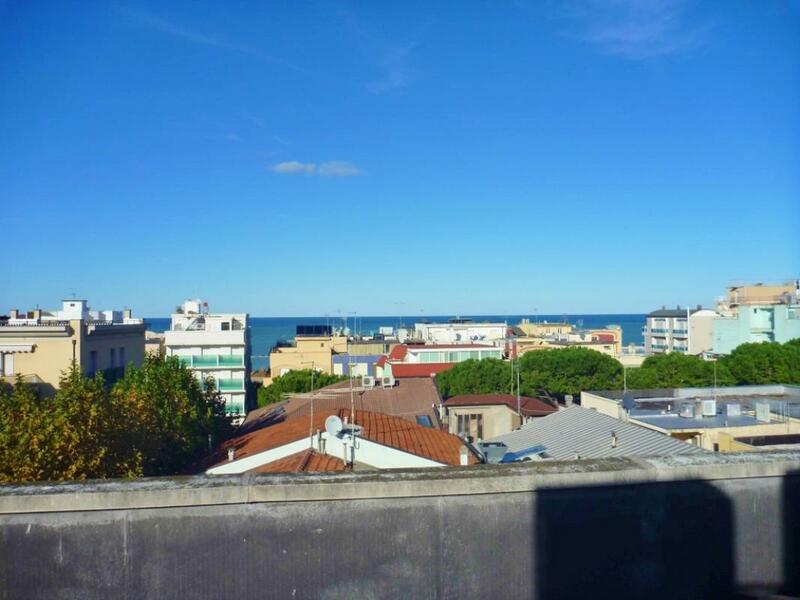 Unique luxurious penthouse in prestigious building in the historic centre of Rimini, a few steps away from the beach. 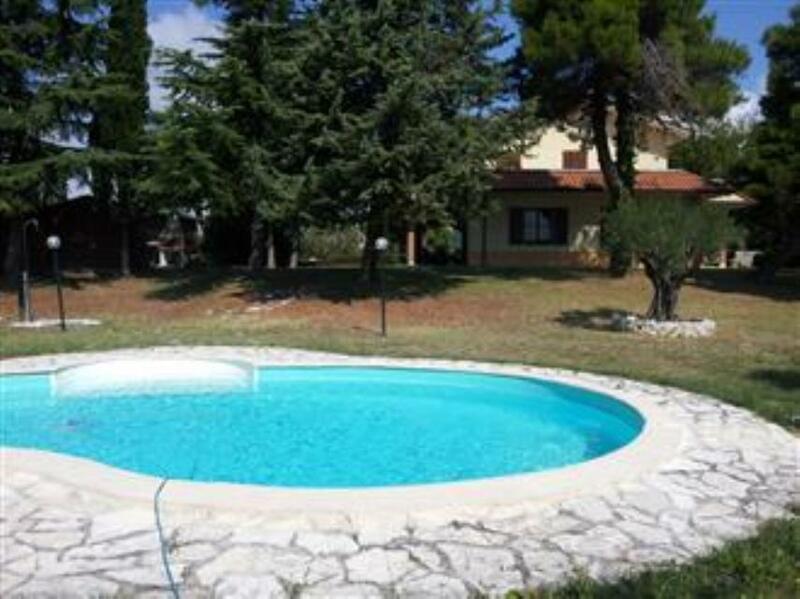 Spacious villa located in Fano, near the Adriatic coast, with private garden. 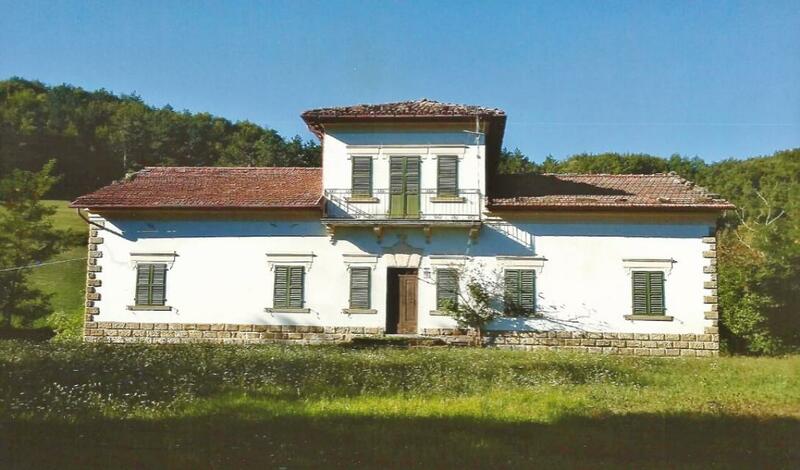 Country house to restore only 30 minutes' drive away from the beautiful Adriatic coast with large plot of land. 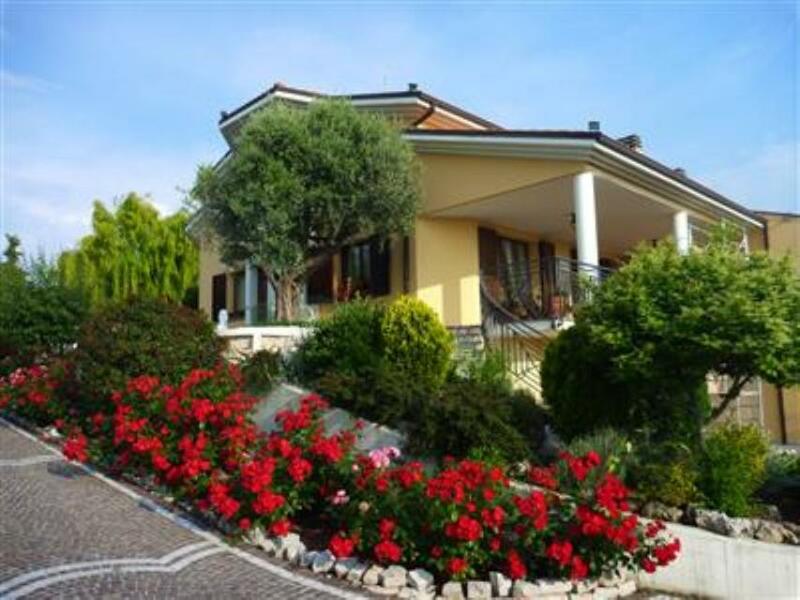 Fully restored luxurious villa with private park and swimming pool near the coast. 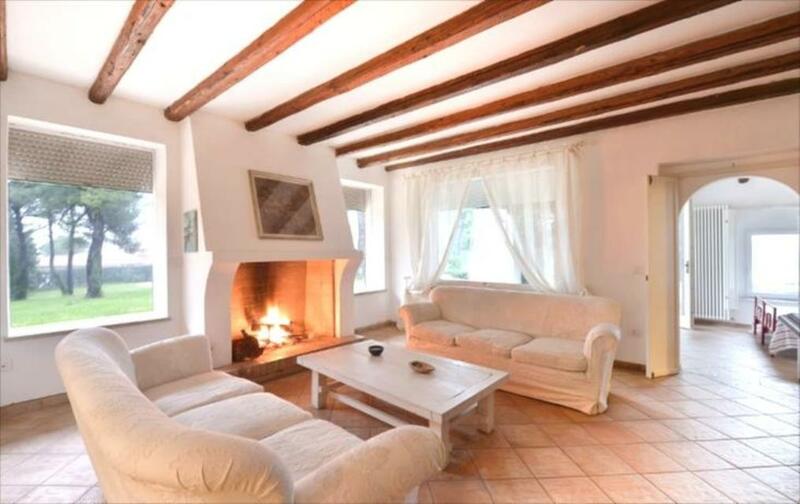 Period villa with private park and original features dating back to the early 18th century. 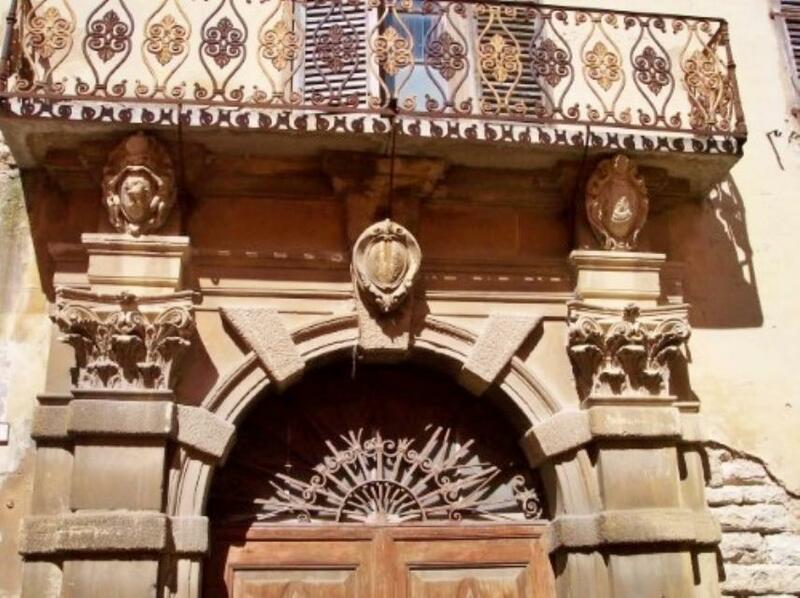 Period palace with private garden to be partially restored near the coast boasting many original 18th century features. 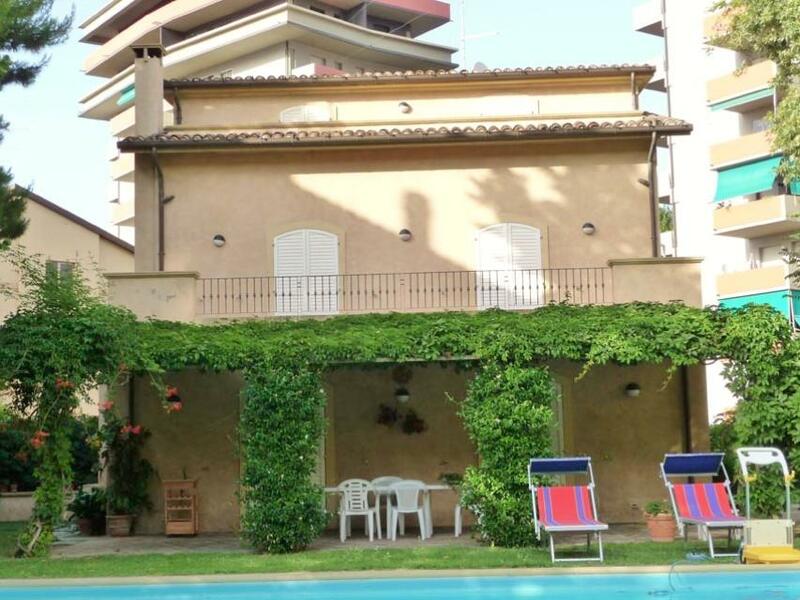 Semi-detached house with private garden of 500 sq m near the city of Florence. 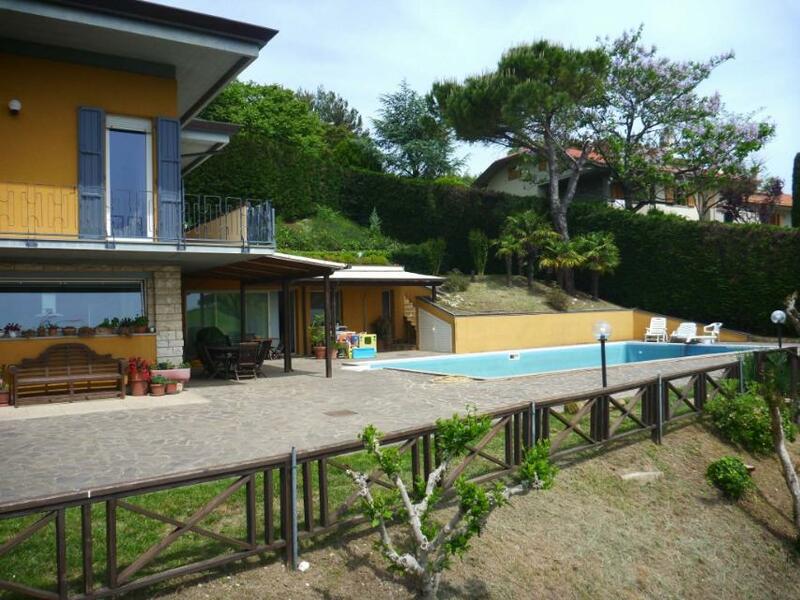 Villa with private park and swimming pool with stunning panoramic views located a few steps away from the coast and services. 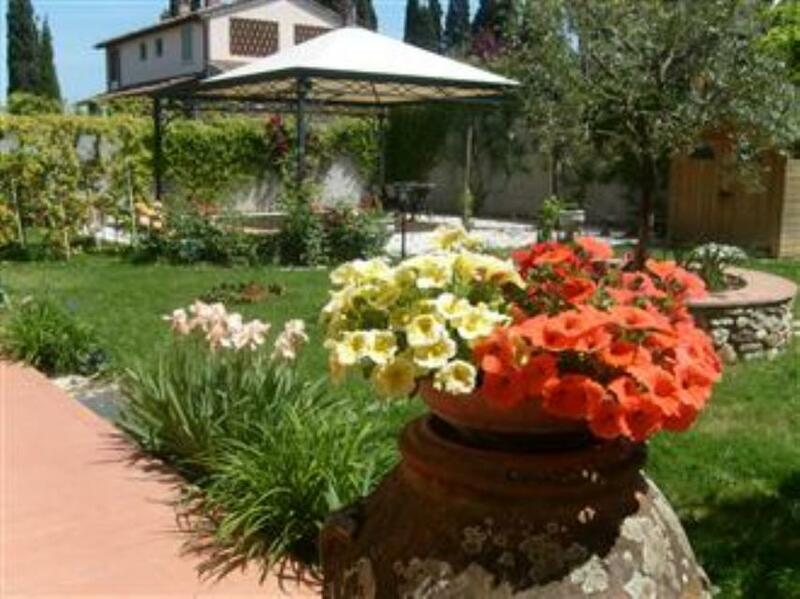 Beautiful villa with large garden, swimming pool, stunning panoramic view and 2 independent apartments currently used for B&B business. 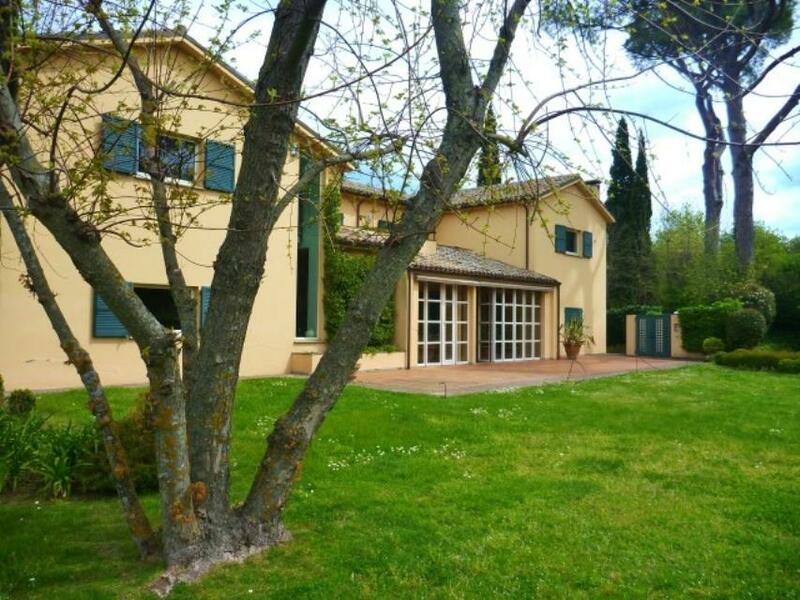 Beautifully renovated prestigious villa with designed details and large garden, situated in a nice residential area with panoramic view in the town of Pesaro in Marches. 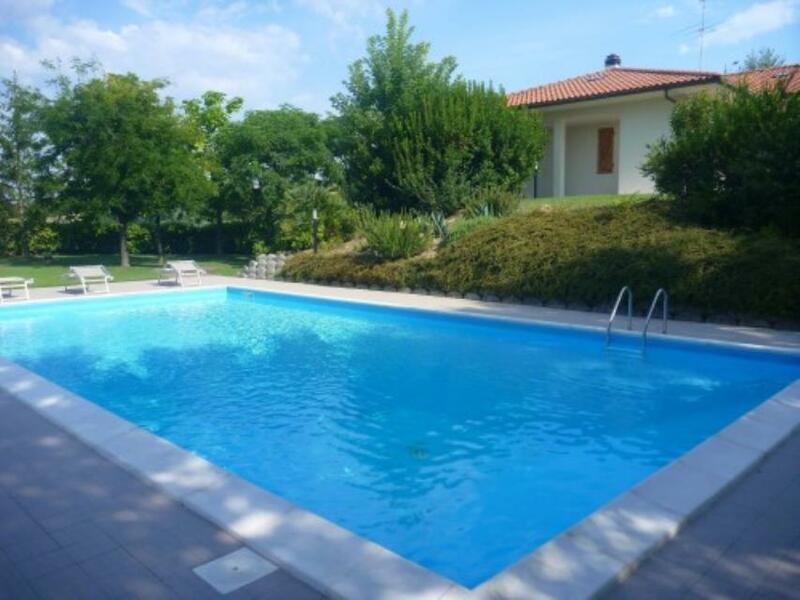 Villa with pool, outbuilding and double garage, surrounded by a beautiful completely fenced garden, it is situated 10 minutes away from the sea and the town center of Pesaro. All the necessary services are within a walking distance. 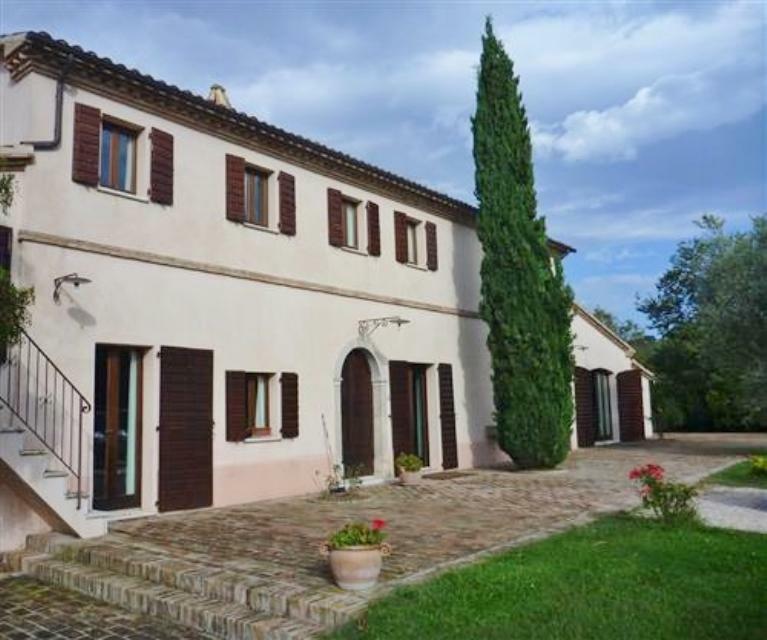 Anceint renovated country house with private land and rooftop swimming pool, located in a nice panoramic position in the hills of Montefeltro in Marches. The property measures about 500 sq m of floor surface plus a large outbuilding. There is a possibility to purchase additional land. Ideal both for private residential use or a B&B. 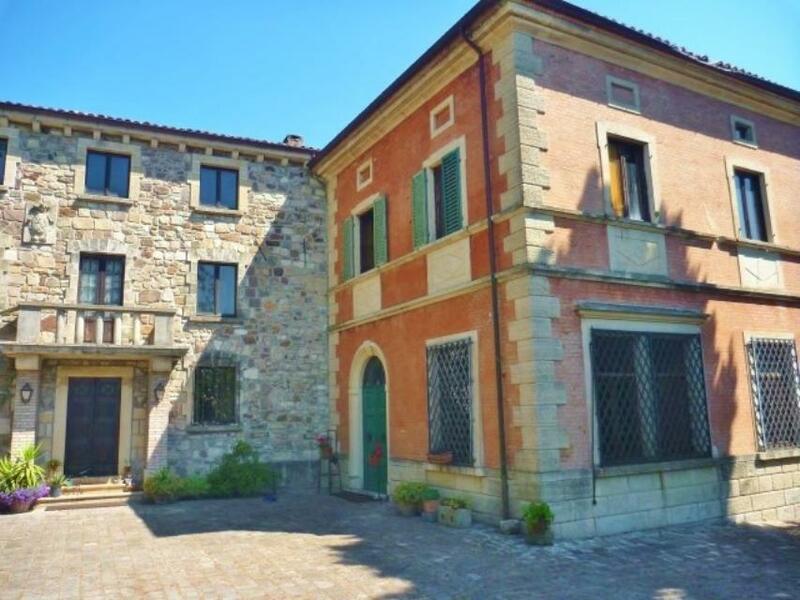 Ancient 3-bedroom townhouse, located in the walls of the historic ancient caste of Montegridolfo, nearby the town of Rimini, close to all the services and entertainments. Large farm with 90,000 sq m of land, sold fully furnished and with all the equipment and livestock. It consists of 10 bedrooms with en-suit bathrooms, several outbuildings, stables and fences, 2 restaurants, garden and a beautiful swimming pool. The farm produces organic products already known in the industry and boasts an established client base, with excellent return on investment. 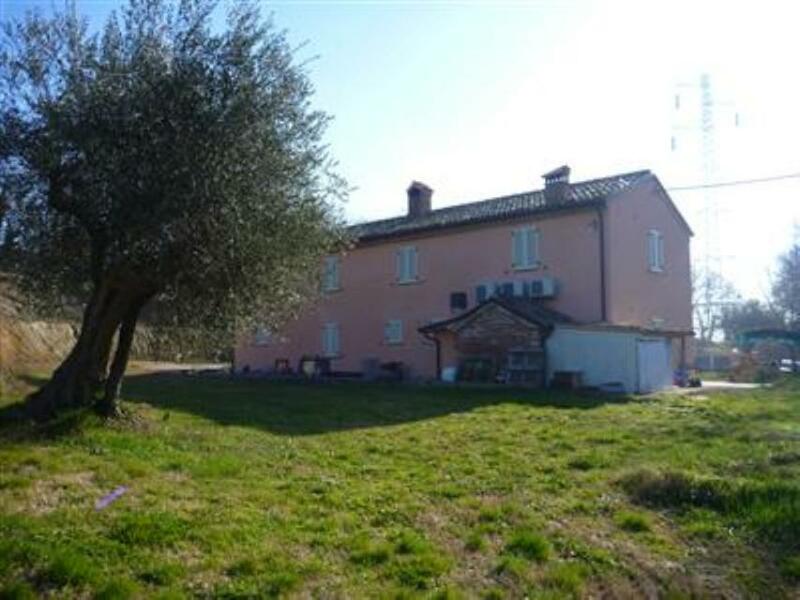 Renovated country house of about 300 sq m with 2 hectares of land, located in the town Fano, only 6 km away from the seaside. 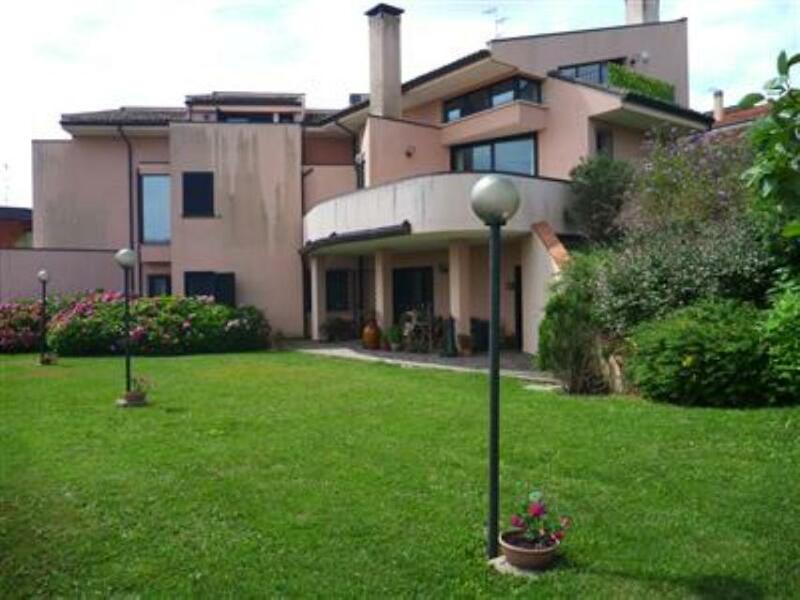 4-bedroom villa with garden and panoramic view over the seaside and the castle of Gradara, located in an open, sunny position. 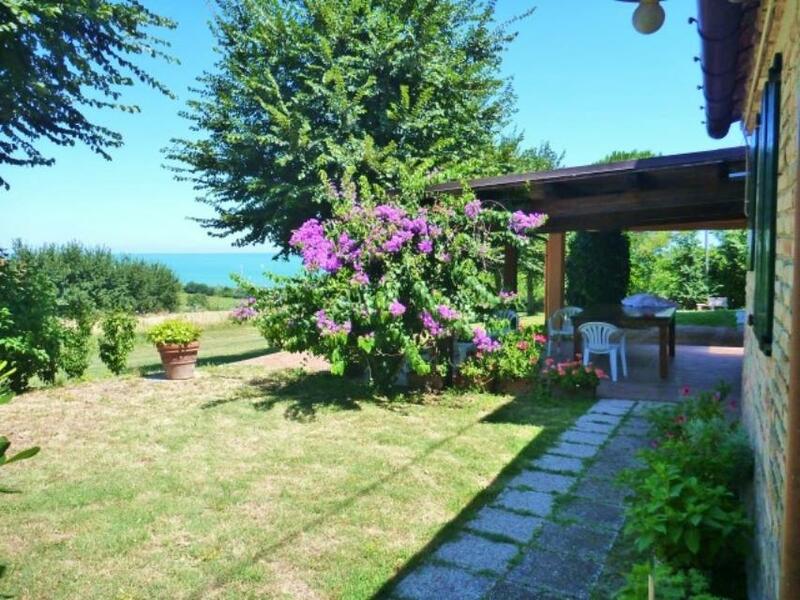 Detached sea-view house a mere 177 metres from the sea in Fiorenzuola di Focara. 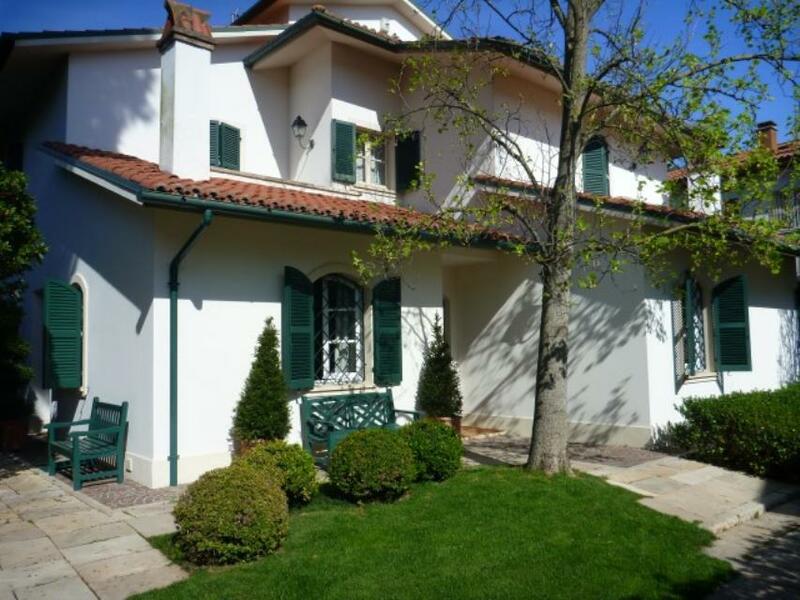 4-storey villa of 450sq m near sea front, with 1,000 sq m garden, 12 X 6m swimming pool and 35sq m garage.